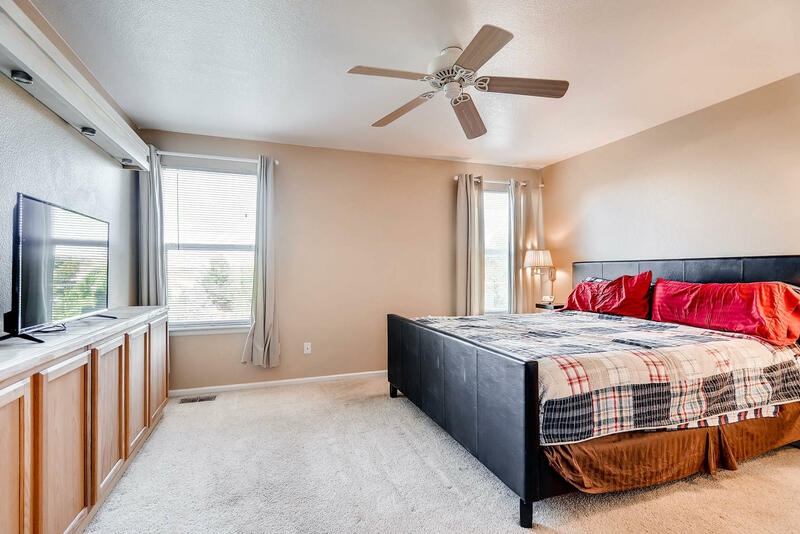 This 3-bedroom, 2.5-bathroom home is nestled on a cul-de-sac just minutes from downtown Parker, which has just been named as the 17th-best small city in America. Take an easy Sunday drive, enjoy some good eats at Hickory House Ribs, or discover some amazing wine at the local Purgatory Wine Cellars. 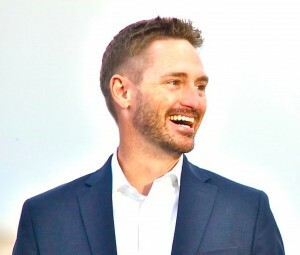 During the summers, cool off at H2O’Brien Pool and grill out in the park, or take a nice bike ride through the nearby Parker Jordan Centennial Open Space and 17 Mile House Farm Park. 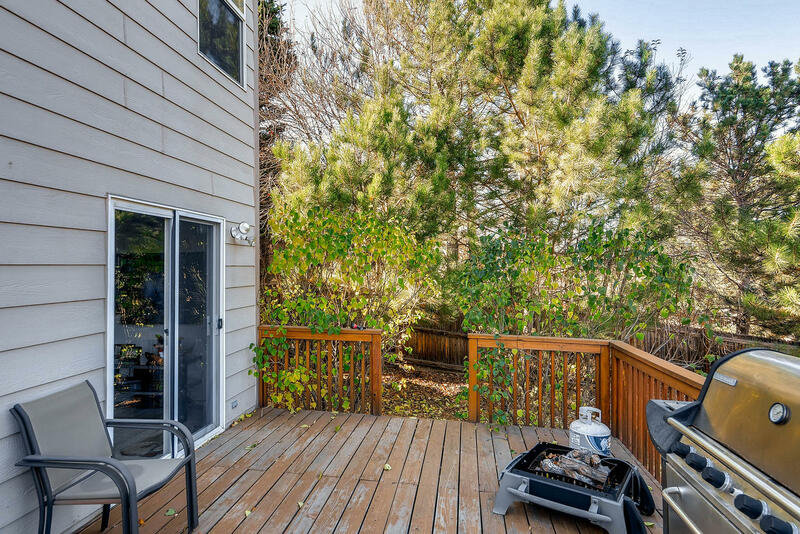 This home is also conveniently located near the main thoroughfares of Jordan Rd, Parker Rd, & E-470 making it easy to quickly travel to anywhere in Denver. 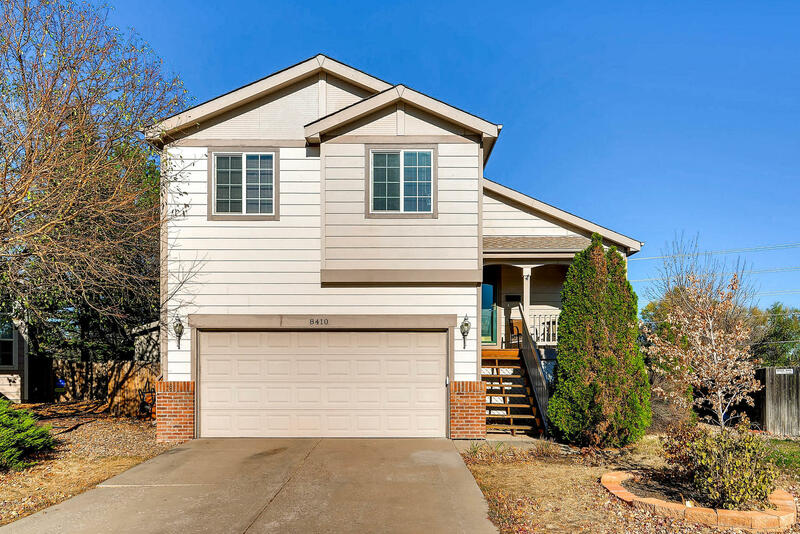 This home has a cozy floor plan with numerous windows letting in the beautiful Colorado sun and creating a bright, spacious atmosphere throughout the home. 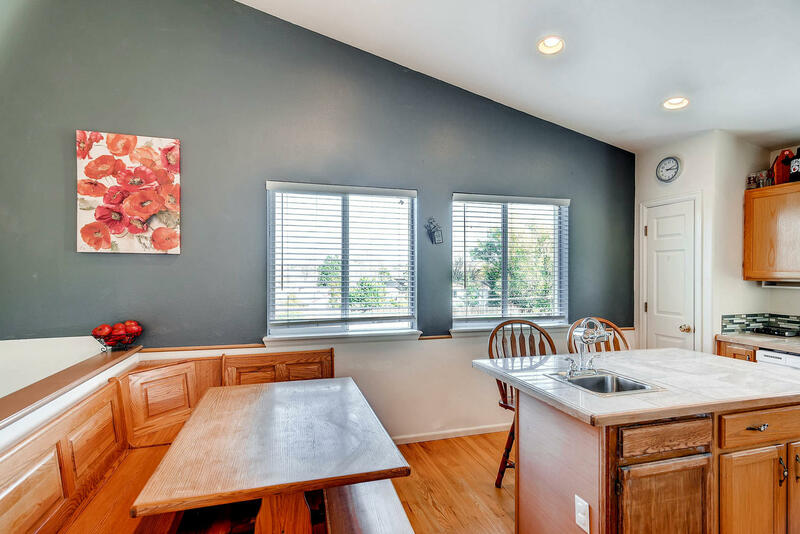 The larger kitchen boasts an extended island with a sink and room for bar seating, granite tile countertops, and lots of cabinet space. 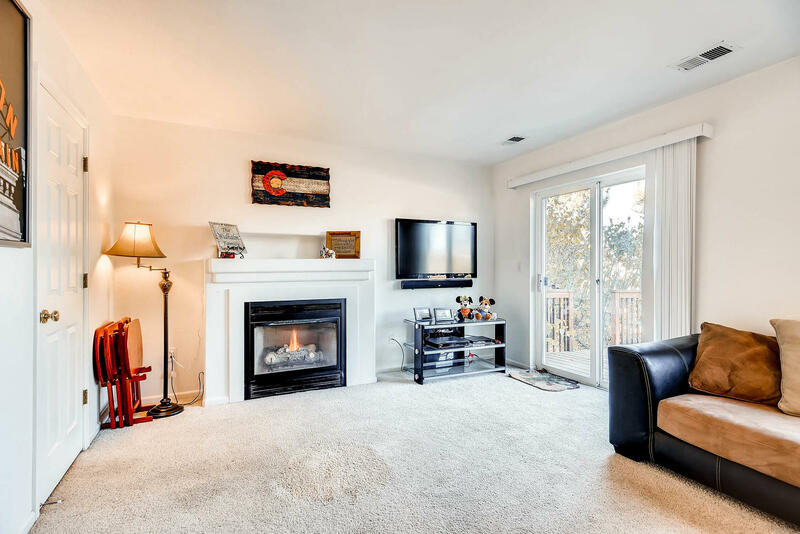 The lower living room has a fireplace to keep you warm during the cold winter nights and entrance onto the back patio and fenced backyard for those summer BBQs. Downstairs in the basement is a very cool entertainment area with in-wall space for the big-screen, a full wet bar with a kegerator and room for a small fridge. 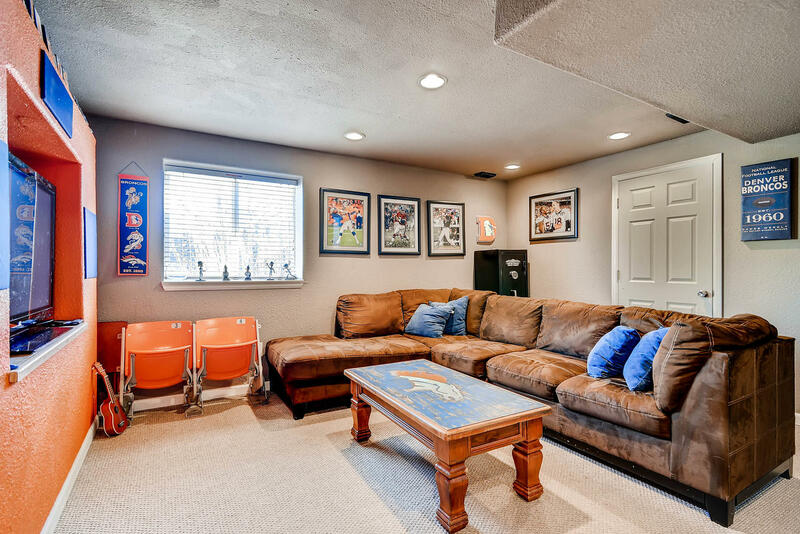 The separate laundry is also downstairs so you don’t have to miss the game while you’re keeping up with the housework. 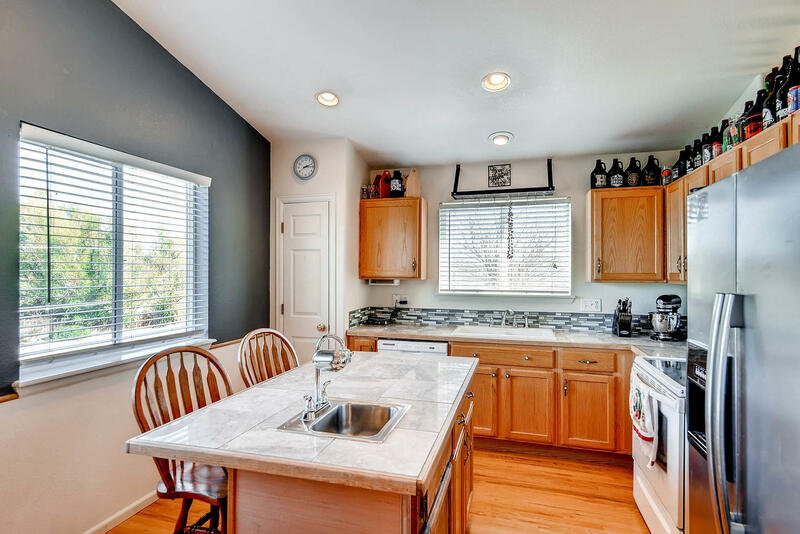 The attached garage has built-in cabinets and counter.